In this illustrated guide, Master Mantak Chia and Doug Hilton explain how to integrate the eye movements of EMDR with the energetic exercises of the Universal Healing Tao to rid yourself of the negative feelings associated with past trauma, build up positive feelings about handling similar events in the future, and remove any physical sensations connected to the issue. 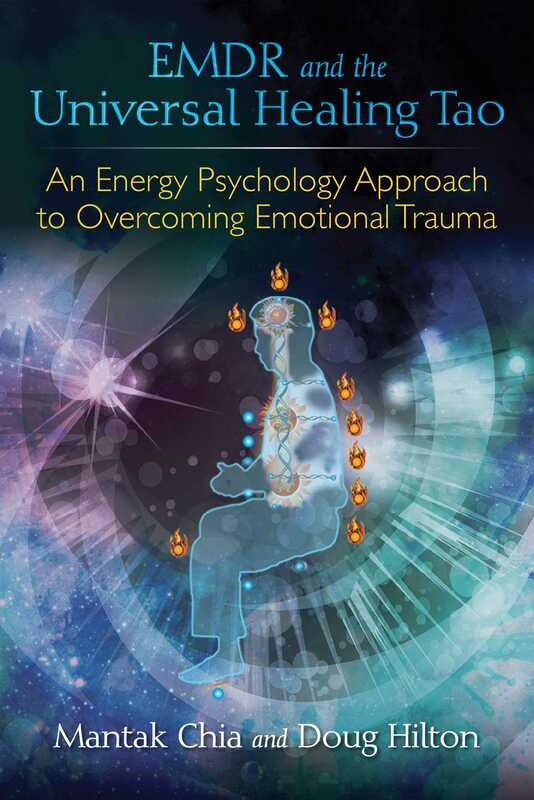 The authors explore how negative emotions are stored in the organs, the effects they have on physical, mental, and spiritual health, and the maladaptive emotional states people develop to deal with the pressures of modern life. In the 1980s EMDR (Eye Movement Desensitization and Reprocessing) was a revolutionary new technique in the field of counseling. It took a big step toward addressing in a practical way the emotional cycles and dynamics that challenge us. If you have not heard of EMDR, it is a specialty counseling technique that is used all over the world to help people put away persistent bad feelings about things that have happened to them in the past. It has been especially helpful for treating Post Traumatic Stress Disorder (PTSD) in both soldiers returning from war and in the general population. It does not require much in the way of interpretation, advice, or homework. It recognizes the mind-body connection and works with energy (whether that is officially recognized or not). It has been highly researched and refined over the years into a treatment that provides fast and permanent results for the majority of people who receive it. EMDR uses sets of bilateral (back-and-forth) stimulation of the senses while the person focuses on key aspects of the emotional issue that need to be addressed. It was originally done with bilateral eye movements only. Now, however, stimulation to the senses of touch and hearing is used as well, through tapping on the legs of the client or snapping outside of his or her ears. There are several steps and phases in the EMDR protocol. First the counselor explains how EMDR works, what the person will be required to do, and what will happen in the process. Then clients are exposed to the different kinds of bilateral processing so they can choose which method they prefer. Next clients are led through two preliminary exercises to gain a little experience of what EMDR does and prepare for the more difficult work to come. Then the therapist asks eight specific questions about the issue that the client has chosen to address. The client’s responses to those questions provide the necessary information for setting up the three treatment phases that follow. The first treatment phase is the Desensitization Phase, which processes away the negative feelings or urges that arise in connection to the client’s chosen issue. The second treatment phase is called the Positive Installation Phase. This phase builds up the positive beliefs that the client wants to have in connection to the issue. The third and final phase of the EMDR treatment process is called the Body Scan. This phase focuses on removing any remaining tension, pain, or odd physical feelings that remain after completing the first two phases. Once people complete all the three phases their bad feelings or urges do not come back. It works very quickly compared to most other counseling approaches, and the client does not have to believe in the procedure for it to have successful results. However, as Einstein noted in his famous equation E=mc2, energy cannot be created or destroyed. It can only be transformed. EMDR removes the connection between the mind and the memory, but the emotion around that issue is not really gone. It is still present in the internal organs. Think of it like a computer where the brain is the hardware, the organs are the software, and there are links to each file. EMDR destroys the link to upsetting emotions by altering the file name, but the emotional energy remains in the organs. Energy that has not been transformed can come back to the person through new pathways. So the energy in the organs needs to be transformed and grounded to the earth to keep it from returning. Integrating elements of the EMDR protocols into the Universal Healing Tao system allows for some important fine-tuning to the EMDR technique. The integrated approach provides more of an emphasis on the body and a more systematic way of thoroughly reprocessing the pileup of emotional baggage that is stored in the rivers and streams of the body. By combining the EMDR techniques with Universal Healing Tao practices such as the Inner Smile and the Six Healing Sounds, people can destroy the mental links to disturbing emotions and safely and effectively remove the energetic residue of those emotions from their organs. This new approach can be used individually as a form of self-healing and also as a treatment method. In contrast to the competitive and materialistic outlook of modern society, Taoism and the Universal Healing Tao teach people how to live in harmony with nature rather than seeking to conquer it. Working with the vital energies of the body provides viable ways to resolve the seemingly irreconcilable issues inside of us. 1. The integrated approach does not require much explanation in order to prepare the client. 2. Unlike EMDR, the unconscious connections to the issue that is being addressed do not often come to mind during the process, but still get addressed. That makes the experience less emotional and more suitable for self-healing. 3. Because the internal organs are the source of our mental, emotional, and physical health, focusing more on the body allows the effects of the issue to be addressed without identifying them beforehand. 4. People can focus on the issue any way they want instead of coming up with a specific picture from their memories. 5. People do not usually get tired when they do the practice. 6. Building up the positive beliefs that a person needs to address this issue if it comes up again seems to happen automatically. 7. The approach is simple enough that most people can follow a short summary on a piece of paper after the first session and start practicing on their own. 8. Some people who have not been able to do EMDR have had success using this practice because there are more built-in aspects that keep them calm throughout the process. Doug Hilton has a master’s degree in counseling psychology from the University of Calgary and has been a practicing counselor for more than 20 years. A certified Universal Healing Tao instructor, he is also certified in the emotional processing method of EMDR, level II. He lives in Burnaby, British Columbia.